Skelton Crew Studio has announced it is accepting pre-orders for the Hercules Key, part of the company’s line of Locke & Key key replicas. 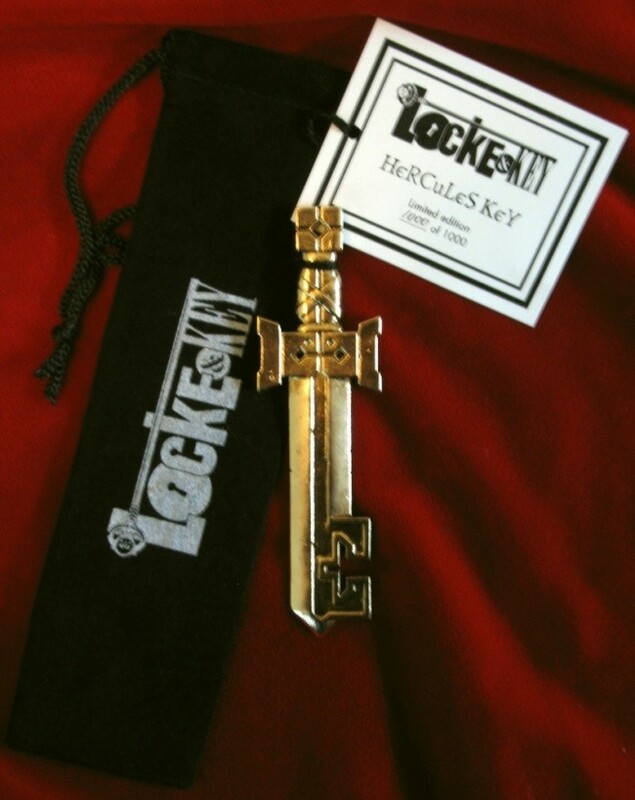 The Hercules Key is straight out of the pages of Joe Hill and Gabriel Rodriguez’s amazing “Locke & Key” published by IDW. This officially licensed replica measures approx. 3.6-inches long. Cast in antique gold-plated pewter, this limited edition variant is packed in a printed black velvet bag with a hand numbered tag, one of 1,000. The Hercules Key is shown with other keys for scale only. Not guaranteed to get you out of that gym membership. The key will set you back $25.00, and they are a unique piece of comic book ephemera that really show you are a fan of the IDW Publishing series.